To tackle large properties and heavy debris, there is nothing like the clean-up power of the BR 800 C-E MAGNUM®. 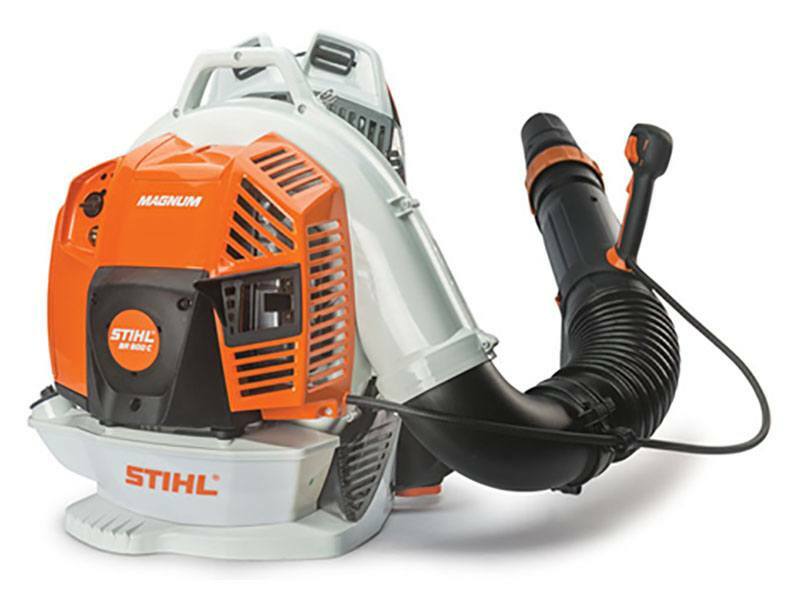 Built in America*, the most powerful backpack blower in the STIHL line offers maximum blowing force as well as optimal comfort. Ideal for professional landscapers, it features a multi-function control handle allowing users to effortlessly access all the controls on one comfortable handle. This blower completes tasks with 20% more power than the BR 700, and can be hung for storage. Its telescopic tube is easily adjustable for various user heights without the use of tools. The BR 800 C-E MAGNUM® also features a starting handle on the side of the unit, allowing users to start and restart the engine while continuing to wear the blower on their back, and a one-touch stop switch that can turn off the engine with the simple press of a button.